LPM is waiting for you! 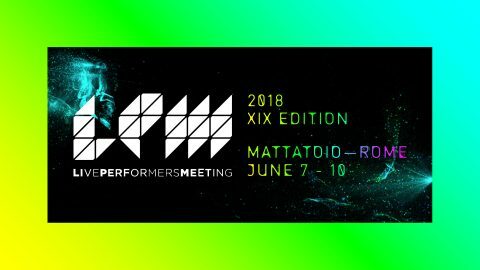 LPM is a meeting for live video professionals, but visitors are very welcome to attend the hundreds of performances and to learn with lectures and seminars proposed. LPM promotes the sharing of knowledge and techniques focused on live video performance practice. Our learning programme is based on theoretical and practical modules, that have been chosen according to our interest in the most innovative and interesting live video technologies, largely dedicated to the newest free and Open Source technologies and to the most exciting software and hardware for live video mixing. Are you a journalist wishing to further your knowledge around live video performance practice and New Media Art? Write us for accreditation, download our press material and join us at LPM. Accreditations are open to photo&video reporters too. Live the LPM experience together with our very own staff! We look for enthusiastic people who wish to participate to a event unique in its kind: you will have the chance to be side by side with hundreds of artists, to participate in the organization of the event and to join our team! Do you want to participate to LPM as partner? Do you want to propose a co-production? Send us your proposals, our team will get back soon, to show you the sponsorship opportunities for many co-branding actions.